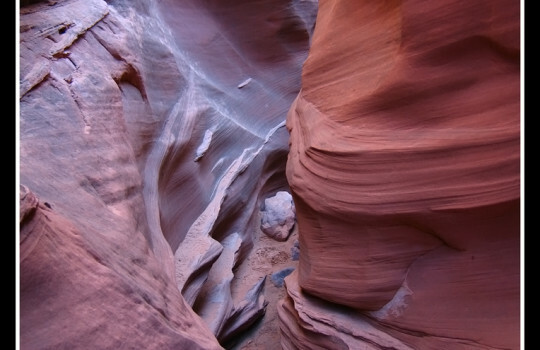 This page will help you to plan a trip in the fabulous locations where 127 Hours, a 2010 biographical survival drama film directed, co-written and produced by Danny Boyle, was shot. The film tells the story of Aron Ralston, a fearless American outdoorsman, who became trapped by a boulder in an isolated canyon in Blue John Canyon, Utah, back in 2003. – “Between a Rock and a Hard Place” Wikipedia page: the book that inspired the movie! 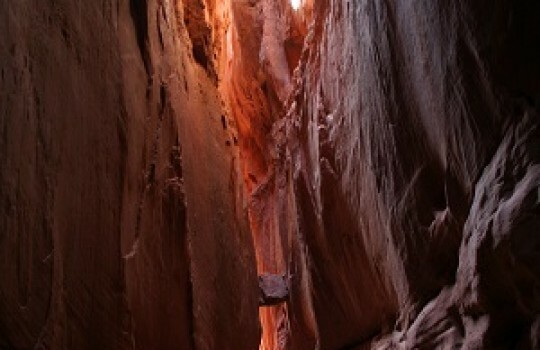 This place is the main location where the movie was shot, an extremely steep-sided slot canyon in Wayne County, Utah. Bluejohn Canyon is located southwest of the Horseshoe Canyon Unit of Canyonlands National Park. 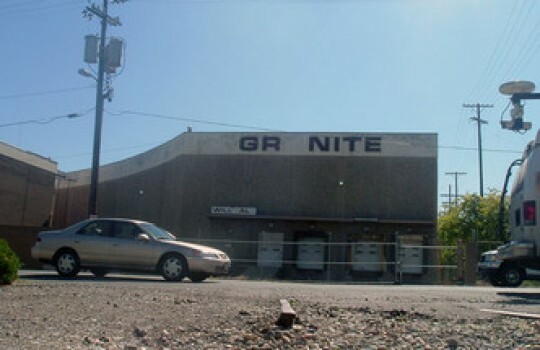 It is where Aron Ralston found himself stuck by a boulder and had to amputate his right arm with a small knife. 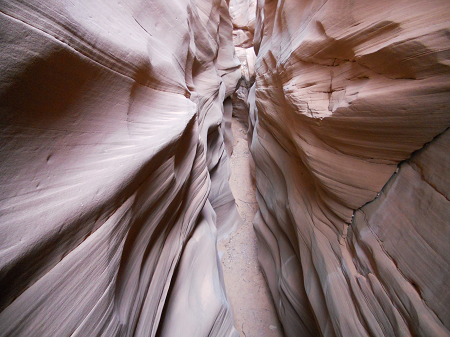 If you plan to visit this place, please remember that slot canyons are beautiful but can also become dangerous places when the rain comes. 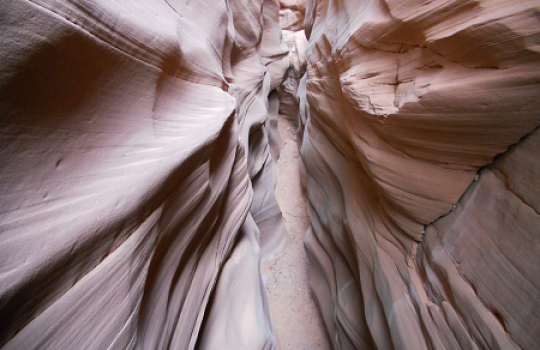 This Wikipedia article gives useful pieces of information on slot canyons as well as a clear warning: "Local as well as distant storms can cause dangerous flash flooding in slot canyons, and expert guides advise avoiding hiking in them if there is any sign of rain. 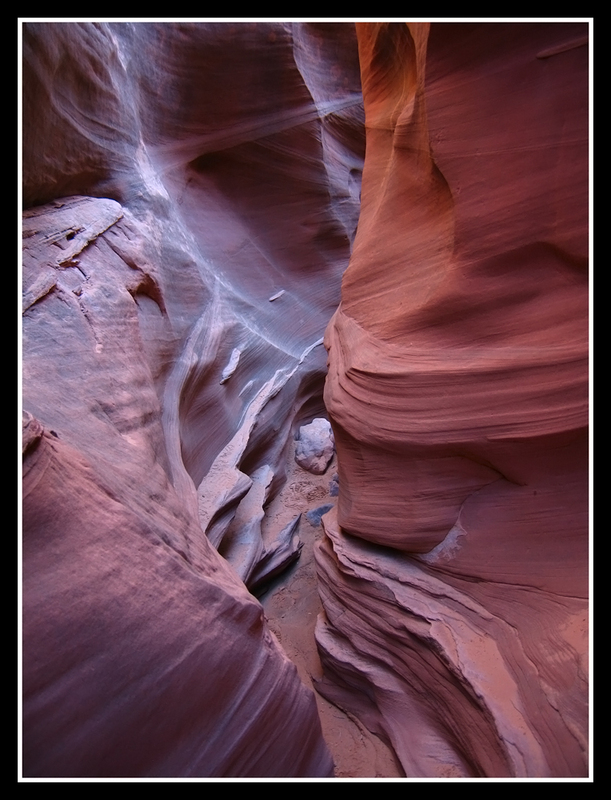 In many slot canyons, it can be miles before a safe exit or rescue is possible". Once equipped and aware of the potential dangers, you'll spend a magical and unreal experience there. Burr Pass is the main base for exploring Blue John Canyon. It is located about 31 miles from UT 24 or 54 miles from Green River. For more information and informative maps of the area, visit this excellent webpage and this website. Guide: unless you're an experienced climber and adventurer, do not go there alone/unguided. We strongly advise you to book a guide. You can do that here, as well as collect key information on the equipment needed. 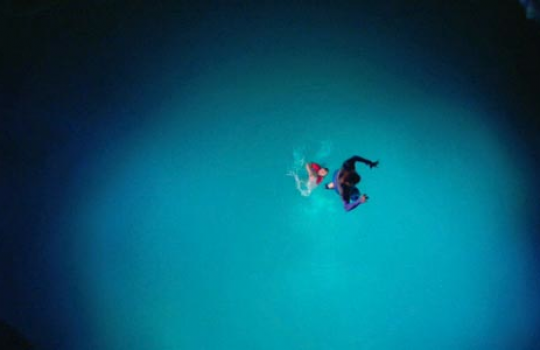 The blue pool, presented as a place located in Bluejohn Canyon in the movie 127 Hours when Aron shows this location to two hiking girls he meets, is in fact located 30 miles southeast of Salt Lake City in the Wasatch Mountains, Midway, Utah. This natural pool - The Homestead Caldera - is known as "The Crater" and attracts a great number of tourists and adventurers. It is a natural hot spring covered by an impressive dome. 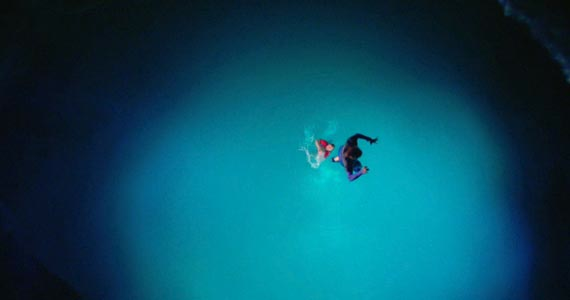 It is a private spot managed by Homestead resort, where you can do scuba diving and swimming in an unreal environment. You will find more information here. 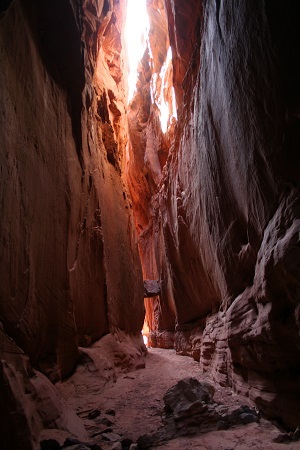 According to http://climb-utah.com, many scenes were also shot in the Leprechaun Canyon. 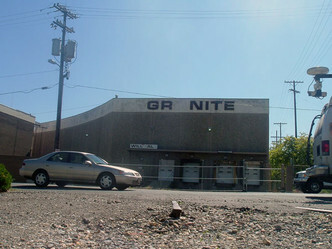 According to movie-locations.com, 127 Hours also filmed at the old Granite Furniture warehouse in the Sugar House district of Salt Lake City (1050 East 2100 South) where the production amazingly recreated the canyon floor.